Manitoba Senior Centres has partnered with Nexus Holidays to be able to bring the Senior Centres of Manitoba a special travel promotion for a trip to China. 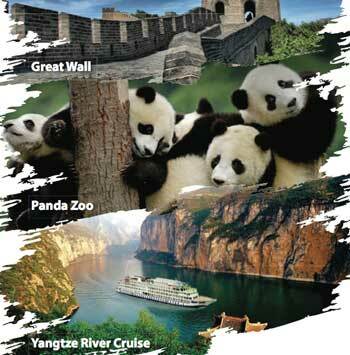 This amazing opportunity includes 15 Days and 13 Nights Classic China and Yangtze River Cruise to experience the Great Wall, the Panda Zoo and so much more. This is an all inclusive trip priced at $2,299.00 plus $480.00 in taxes. Please download the attached poster for more information.